Trying to make debt an everyday topic is difficult. What’s more, most people who are in my line of work have an accounting background. As such, there’s a tendency to be more numbers-focused than say, story-telling, for example. But a year ago, I came across an individual on my Twitter feed who was commenting on personal finance issues and the sorts of situations that my clients face. He’s even got an impressive social media follower base because of it. His name is Scott Terrio. He’s a regular contributor to Macleans, BNN, and many more media outlets. I’m happy to share that he’s also the newest member of the Hoyes Michalos team. 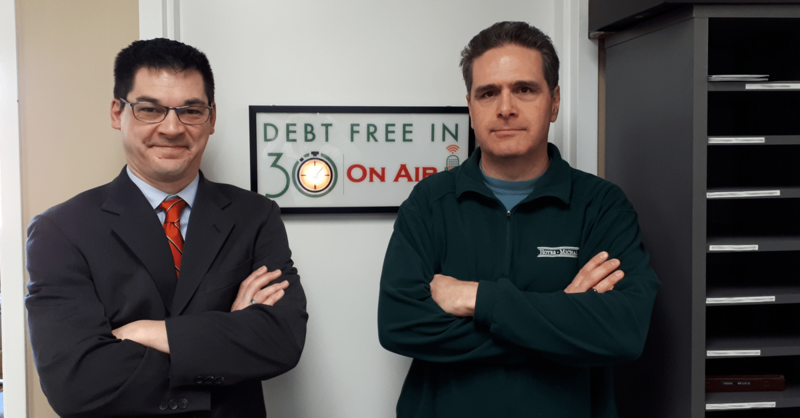 Scott is our new Manager of Consumer Insolvency and he’s our guest on today’s podcast, as we talk debt. One of the things that you’ve certainly written a lot about is people don’t still grasp the whole concept of a consumer proposal. Just as a refresher, a consumer proposal is a legal alternative to bankruptcy. You often repay less than the debt you owe and only a Licensed Insolvency Trustee can file a proposal on your behalf. A consumer proposal is a deal and the typical kind of deal would be well, OK, you owe $60,000, how about you pay back $20,000. It’s understandable, though, that many Canadians wouldn’t know this alternative exists. It’s not something we like to think about on a regular basis. For a lot of people, talking out loud about debt doesn’t happen as often as it should. To add to that, not a lot of companies have an incentive to inform either. A bank certainly wouldn’t tell you. They just want you to borrow. A mortgage lender also wants you to borrow money. Same goes for auto and retail lenders. There’s a much higher population of people who don’t want you to know about consumer proposals than people who do. So that’ll be our goal going forward, to continue educating the public on their debt relief options, and how they can better manage their money. To hear more of our conversation, tune into today’s podcast. Doug Hoyes: There are not very many people who work in the debt help business and are regularly quoted in the media or who are on Twitter or any other form of social media. That’s not surprising. Debt is an uncomfortable topic. While the media likes to cover the more sensational stories making debt an everyday topic is difficult. On top of that most people in my line of work have an accounting background so we tend to be somewhat numbers oriented but that means we’re often not very good at communicating stories. But a year ago I started to see a name pop up in my Twitter feed and I started to notice that he was building a great reputation tweeting, commenting and writing about debt topics like those that affect my clients. Well, I’m happy to say that my guest today is now the newest member of the Hoyes Michalos team, our manager of consumer insolvency, Scott Terrio. Scott, welcome to the team and welcome to Debt Free in 30. Why don’t you give our listeners a quick background on your situation, so let me ask you some quick fire questions here. So question number one, where were you born? Doug Hoyes: Okay, I’ve heard of that. Where did you grow up? Doug Hoyes: Okay, that’s pretty close to here and then tell me about school after that. Scott Terrio: Okay so after I left the burgeoning metropolis of St. Catharines I went off to the University of Waterloo. Doug Hoyes: Yeah, I’ve heard of it. Scott Terrio: So spent four years or so there, a little bit longer because I was in the co-op program and that usually means you intermix work terms with school terms after some period. Did a few kind of, you know, standard work terms that you do and that kind of thing so some government, some science stuff, whatever. And then when I graduated I ended up going straight to one of those jobs actually with the Ministry of Agriculture and Food, strategically located in downtown Toronto. Doug Hoyes: That makes total sense, yeah. Scott Terrio: Now it’s in Guelph, they fixed that just after I left. So when I left there I went off to work for John Deere. Doug Hoyes: The tractor guys. Scott Terrio: As you do, yes. And I spent 14 years there actually. Doug Hoyes: So what towns did you live in? Scott Terrio: So I lived in Swift Current after doing a little bit of training and a lot of flying, probably spent 20 to 25 weeks a year in the United States on various trips. They like the trips. And then I spent two years in Swift Current, less a day as I like to say for good behaviour. They sent me back to Ontario and I took over a territory right in south central, right here basically, around this area Kitchener-Waterloo. And spent about five, six, seven years doing that before I got moved into the head office in Grimsby to start up a new it was called a sales support centre where we kind of handled dealers all across the county. And it was keeping things consistent in terms of marketing and sales and dealer development, that kind of stuff. So, it was quite a broad view of things of a very, very large company. Doug Hoyes: Excellent. And we’re going to get to what happened after John Deere next so I should tell the listeners that Scott and I first met in person over a coffee way back in well July, 2017, I guess not that long ago. Scott Terrio: It doesn’t seem that long ago now. Doug Hoyes: Because again I’d seen you on Twitter, I’d seen you all around and I thought I should meet this guy so we went and had a coffee I guess it was at the Starbucks inside the Longos in Brampton there, just beside my Brampton office. And at that time you told me hey, I’m quite happy, I’m working as an estate manager for a smaller insolvency firm in the Toronto areas so I said that’s cool. We continued to, you know, we connected regularly on Twitter, you know, and then as sometimes happens life kind of threw a curve ball that ended well luckily for me with you becoming part of our team here at Hoyes Michalos. So, perhaps you could describe a little bit about how you came to be a part of the team here at Hoyes Michalos. Scott Terrio: A win/win, yes. But to make a long story short I had a mentor at my former firm who was a great guy, really excellent with clients, the best kind of person you can imagine at this kind of business where a lot of things are viewed as very negative and making people feel about themselves and hey, this is just a bump in the road kind of thing. So I hopefully picked up a lot of that from him. He took a long term illness, an older fellow, and ended up passing away last May after having been off for a better part of two years and two bouts of cancer. So, what happened as a result of that was I got thrown kind of to the wolves because I was covering not only two or three offices but all four and great exposure to a sound and thorough dunking into the waters of insolvency. So good that way, but to make a long story short, that misfortune, that health misfortune of his along with a number of other administrative issues, lead to the dissolution of that firm and I don’t even know the full story there. But the gist of it is the place I was working at is no longer and here I am working at Hoyes Michalos. Doug Hoyes: Well and when all of this happened you and I started chatting again and, you know, we had lunch I guess it was in November just down the street, we’re recording this in our Kitchener office right now. And, you know, we started to talk about how you could continue helping people from here at Hoyes Michalos. So what was kind of going through your mind then? Because you worked for a big organization in John Deere. Scott Terrio: 45,000 employees worldwide. Doug Hoyes: We’re not going to send you to the United States or anything as part of what we do. So, how did that kind of all fit into your thinking of well, do I want to join you guys? You obviously had lots of other opportunities. Scott Terrio: Right. Well, you know, I spent a long time at John Deere and then another eight years at my former firm. So, I think I brought a lot of my sales and marketing and people skills from John Deere into what I did in insolvency. And so, that combined with my mentors tutelage meant that I was pretty keen on not only helping people but also it was kind of fun teaching people. Because when clients come in that’s really what you’re doing you’re fixing their problems, but if you do it right you’re also making them feel a little bit better, right, because they’re pretty down. You know, they kind of teach their family members well you shouldn’t – don’t sign any joint debt with anybody, kind of the basics, right, that really society doesn’t teach people. You know, you don’t get that in school, you don’t get it – I think anybody who knows that stuff, knows it, you know, a parent who has looked after them and said this is what you want to know about money and that kind of stuff. So a lot of this is educational from my standpoint and partly how I got into doing media stuff was not only looking at what you were doing successfully but also saying hey, you can get your message out to people, you know, and really teach them the basics about stuff they should do, stuff they shouldn’t do when it comes to consumer credit, debt and stuff like that and it’s a really great vehicle for that. Doug Hoyes: Yeah and I think that’s probably the main reason I wanted you on the team, you and I seem to have a similar approach to that sort of thing. There is stuff people don’t know. I mean the reason I have done, I don’t know 179 episodes of this podcast or whatever it’s been is to get the word out about what people don’t know. I mean you’re a great communicator and as I said at the start I see you on TV all the time and I think you’ve got a great way of explaining these concepts to people. You know, and I also asked around and I get the impression individual people really respond well to your down to earth approach. So walk me through – we know what you’ve done in the media and we’ll talk about some of the places people can kind of read what you’re up to going forward. But you’re certainly going to be meeting with a lot of people while you’re here. What’s it like when someone comes in to meet with you? So they go to the internet, they find the hoyes.com website, they fill out a form, they send us a message, they call us in and we say yeah, great you’re in the Toronto area, why don’t we book you to come in and see Scott because you’re primarily going to be working in Toronto. So someone comes in to see you, what happens? Scott Terrio: Well, I like to take a, you know, kind of a warm and casual approach with people. You know, sometimes you get people coming in with a real mess of complicated problems, maybe there was a small business that’s closed and now they’re facing the things that come with that, the business tax debt, that kind of thing plus all their consumer debt so you got a real complicated mess. Other times it’s more, most of the time, it’s just consumers with more debt than they should have ended up with more debt than they should have ended up with and maybe they should be doing better than they are. But when somebody comes and sits down with me, whether I have spoken to them on the phone or not previously, I just say tell me what’s going on. It’s open ended, right? Like I just want to get people talking and I want to spend a lot of time listening at the first sort of half of the meeting and then the second half I do a little bit more talking because here’s where we’re at and here’s, you know, we’re narrowing your options down here, right. Because you might have four options when you walked through the door but I know now it’s only two really because realistically here’s what we’re going to do. And as you know you’ve met with more clients than I have but I think I’ve probably met with somewhere between 3,500 and 4,000 clients now and you can tell pretty quickly what direction things are going with a lot of experience. But we also send a lot of people away, right? That’s partly what trustees do, our job legally is to explain everybody’s options and not to railroad them down a certain way. And so, you know, somebody comes in and they’ve got a lot of home equity and a little bit of debt, well we’re not going to have a conversation about insolvency for very long, right? You’re going to get a well rounded overview of where you’re at and what your legal rights are, what kind of things you should be doing as far as, you know, first step, second step, third step. In other words, you know, you can maybe file a proposal but that’s not your first shot, right? You might want to talk to your banker first, maybe tap your home equity; maybe you have family members that can help you out with stuff. Like there’s a lot of things that people can do before we get to insolvency. Doug Hoyes: Yeah and I think that’s the key point because of all the people who contact us, at most about a third of them are going to end up filing a consumer proposal or a personal bankruptcy which means okay two thirds or more are going somewhere else. And you’re right it could be you’ve got a lot of equity in your home, so maybe you can refinance and pay off your debts that way. Maybe it’s a tax issue you’ve got and if you have a tax person go through all that and get all that cleaned up, maybe you don’t have that problem anymore and you don’t need to see us. So, it really is a fact fining mission at the start to figure out what the possible different options are. Scott Terrio: Yeah and even if you’ve spoken to someone on the phone on an occasion when they come in and speak with me specifically, you’ll find out more anyway. When they come in and they bring in all their papers and you realize oh there’s also this and there’s that. So that might change things too, right, you might have thought well maybe this is going to end up this way and it might not once you realize what’s going on. And part of the trick to this stuff like I said is getting people talking and finding out kind of a well rounded view of them, it isn’t just debt, right? It’s what do you own, what have you done in the last couple of years, like I want to know people’s stories like what’s your employment been like, right? Maybe you lost a job and then you got another job again but for those six months that you were off maybe some of that debt was run up by necessity. To me that’s kind of the stuff that kind of colours the story a bit. And so as your, you know, as your potential insolvency person I want to know that because I want to know that this has into been, you know, a lot of people think that people running up debt in a very sinister way, right? But 90% of the time or more it’s just people having life happen to them. Even the opening wording of the bankruptcy and insolvency act is an honest but unfortunate debtor. It’s not meant to be punitive. It’s meant to be rehabilitative in nature. So, if you take that approach with people and build some trust early with them right then I think you can get them going down a path. Doug Hoyes: Yeah and I look at what we do kind of like what a dentist does. I mean the dentist isn’t going to say for the last 20 years, you’ve eaten too much chocolate and too much sugar and now your teeth are bad and you didn’t floss three times a day. Well, okay but stuff happens, people get cavities, you know, people play hockey and get their teeth knocked out, I mean that’s just kind of the way it is. Scott Terrio: No point playing the blame game. You’re the one holding the drill. Doug Hoyes: That’s right, we’re not having arguments with the dentist, it’s much more important to focus on tomorrow rather than yesterday. Doug Hoyes: So okay, regardless of why you’re in this situation, what can we do going forward? One of the things that I think you’ve certainly written a lot about and people can see a lot of your writing in places like Maclean’s for example and well, give me a couple of the other publications. 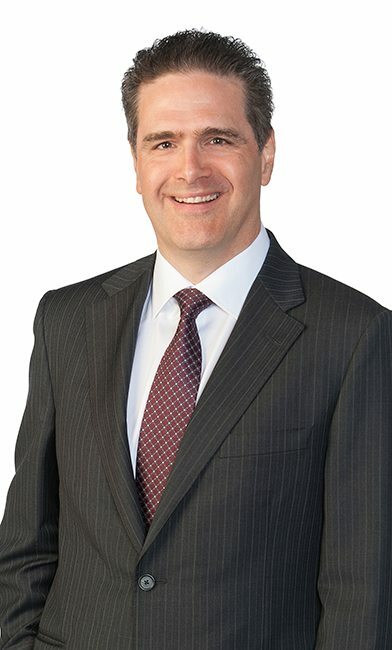 Scott Terrio: Maclean’s, MoneySense and Canadian Business are the three, they’re affiliate magazines but they’re different – they tend to be different readerships. So depending on the article you write, I mean I’ll just write an article because I want to, I’ll just think of something interesting and write it and then I send it in and they say this is more appropriate for this or what or whatever. Those are the three that I have been working with for the last year or so. Doug Hoyes: And you got lots more coming up with them. Scott Terrio: Yeah I was just going to say we can drift a little bit here. There’s some big news coming out on that from our end. So you’ll be seeing more of that stuff let’s say that for now as just recently here so that’s good. But yeah it kind of gets – you know, it’s a mixture of interests stuff with a little bit of technical, not too much. Doug Hoyes: Well, I know one of the things that you’ve written a lot about, as I have too because people in our business tend to focus a lot on this is people don’t still grasp the whole concept of a consumer proposal. Doug Hoyes: And to you and me it’s kind of obvious because it’s a pretty simple thing. Doug Hoyes: But the average guy on the street understands, thinks they understand what bankruptcy is, they probably don’t but at least it’s been a word that’s been around for hundreds of years and so on. Whereas a consumer proposal is a much new concept and I think both you and I in the past have been quoted as saying yeah, it’s one of those things that, you know, it’s I don’t know the way you phrase it, it’s one of the best kept secrets. Scott Terrio: That’s exactly how I phrase it, yeah. Doug Hoyes: So, why do you think that is? Well, first of all give us the, you know, the one or two sentence of what a consumer proposal is. I think everyone listening to this show knows what that is. Scott Terrio: Right, so a consumer proposal is a legal alternative to bankruptcy, that’s usually my catch, you know, answer and, you know, it’s under the bankruptcy act but it’s not bankruptcy. It doesn’t really involve anything that a bankruptcy involves other than getting rid of your unsecured debts in a different manner. Doug Hoyes: Yeah it’s under the bankruptcy and insolvency act. Scott Terrio: Some people will understand it as a Chapter 13, right, because of course we get so much of our spillage over from the US and people phone me up and say I want to do a chapter seven, well bankruptcy it’s not called that here. That’s fine terminology. But it is a personal restructuring I would say, some people, it’s better explained to them that way. So you take your debt and you make a different deal legally. Doug Hoyes: It’s a deal, that’s a good word. Scott Terrio: It’s a legally binding deal. It’s done through courts. Nobody goes to court but it’s done through the courts and it’s filed with a licensed insolvency trustee. Doug Hoyes: And it can only be filed through a licensed insolvency trustee. Scott Terrio: Yep, nobody else. People will present that sometimes that way but yeah that’s the only way it’s done. And what you’re doing is saying to your creditors is I can’t handle this unsecured debt load with all of its minimum payments and interest and everything the way it’s at right now. Doug Hoyes: And unsecured debt means? Give us an example. Scott Terrio: Yeah, so Visas, MasterCards, unsecured lines of credit, so non home equity lines of credit. Doug Hoyes: So, not your mortgage, not your car loan. Scott Terrio: Not your mortgage, not your car loan, anything where there’s an asset tied to it is secured, so that’s different and anything that is in your wallet is unsecured I would say, income tax is included, if you owe income tax arrears. Scott Terrio: Payday loans, those are all unsecured. Anything that doesn’t have an asset tied to it where if you don’t pay the creditor has no recourse other than to sue you really. Doug Hoyes: And again if you’ve got a car loan that you can’t pay, well, okay you can give the car back and then do a consumer proposal because at that point it’s not attached to the car anymore. Scott Terrio: Right, so the shortfall, the $10,000 shortfall, that goes from formally being secured to unsecured, that can go in your proposal. Doug Hoyes: So it can deal with pretty much all forms of debt and it’s a deal and the typical kind of deal we would do would be well okay you owe $60,000 and how about you pay back 20. And I just made up those numbers because every case is different. It’s whatever we can get people you owe money to to agree to. Scott Terrio: Right and trustees have enough experience doing this stuff. As you know we can tell partly by the mixture of creditors, right, some creditors respond differently to they want a higher percentage of return, others don’t. And that’s part of the, you know, as I said earlier when someone sits down to meet with you and within the first 10 or 15 minutes if you’ve done enough of these you can kind of see which way it’s going. And if it’s going down the proposal route you can kind of know okay, here’s roughly what you’re going to be looking at here because of various factors. Doug Hoyes: Yeah and the math we’re doing is we look at if you were to go bankrupt what would the creditors end up getting? And so in a bankruptcy the more money you make the more you’ve got to pay, if you have lots of equity in your house for example you’d end up losing some of that. So, we do that math, well the proposal has to be a little bit more than that or they might as well just have you go bankrupt. And you’re right, we know that this particular bank they’re always looking for this many cents on the dollar, whatever so it’s fairly easy to craft a deal. And so for the average person, well not the average person, the average person who would be contacting us who perhaps owes 50 or $60,000, we can often work out a deal that, you know, they pay off $20,000. No interest over a period of four or five years, something like that. So with that background, here’s my question that was just a preamble, that wasn’t my real question, this is the actual question that I’m asking you. And that is so, that sounds pretty good to me, you know, instead of paying back 60 plus interest over the next 10 years which is going to cost me $120,000 I can do a deal where I pay back $20,000. I mean yes, okay there’s going to be a note on my credit report that I filed a proposal but once the debt’s gone I can start rebuilding, so paying $20,000 sounds a lot better than paying $120,000. Why do people not know about this, why is this not a thing? Scott Terrio: I don’t think insolvency in general is on many people’s radar, you know. Before I came to this business I probably knew just kind of what you were saying earlier which is I kind of know what bankruptcy is, right? Okay, I’m going to lose my house. Doug Hoyes: I lose everything. Scott Terrio: And I had worked in a fair bit of what you’d say financial sophistication, that might sound snotty, but with John Deere, so I thought I knew a fair bit about money because that’s a fair bit of what that is, and still didn’t know anything bankruptcy. And so of course I would know that much less about proposals because, you know years ago there were more bankruptcies filed than proposals and now it’s kind of back to – it’s more 50/50 now because people do get exposed to the existence of these things and you and keep your house and all the good and things about doing a proposal, the numbers are creeping up and they’re about even now. Doug Hoyes: Well, yeah in fact in Ontario there are now more proposals filed than bankruptcy and at our firm here yeah definitely we file more proposals than bankruptcy. Scott Terrio: Sure. Because if you put that in front of people as an option, often times they don’t know about that. They come in and say I’m in a lot of trouble here and they might think I’m going bankrupt. But we say you might not have to do that and it’s always a better route out in a proposal because you’re not going to get a bankruptcy rating and all that stuff. So, I think it’s the best kept secret in Canada, I think you’re right on that. That’s the phase I use. Why it’s a secret hard to say but it’s probably just because, you know, 100 and what 125, 130,000 people a year file insolvencies, personal insolvencies in Canada and, you know, that might be more in peak years but it’s still a very small drop in the bucket compared to what 35 million people, whatever. And I just think that this is not something that people come across in their daily lives and it’s also not something that people don’t want to think about and that’s partly why people get into so much debt, right? You look at the consumer debt levels now and people just put this out of their minds and they kind of go on and they go on and they go on and they kick the can down the road and 20,000 in debt becomes 30 and 40 and then it just becomes a fixture in your life and so you might go five years paying minimum payments and where do you start, right? Doug Hoyes: Yeah and you’re right, if you’ve never been in that situation then you wouldn’t be aware of it. If I was to mention some strange medical condition that you’d never heard of, you’d go yeah I don’t know what I should do if I had that strange medical condition. Scott Terrio: And likely never going to happen to me. Doug Hoyes: Right, yeah. You know, whereas if I just got over having the flu, well then I know exactly what the flu’s all about and what I should do and need to recover and so on and so forth. So I think for a lot of people they’ve never been in that situation. And I guess the other part is who has the incentive to let people know that consumer proposals exist? Well, not the banks they want you to borrow money, not the mortgage lenders because they want you to borrow money, not the car financers because they want you to borrow money, the retailers they want you to borrow money. Scott Terrio: There’s a much higher population of people who don’t want you to know about it than people who do. Doug Hoyes: Right and maybe it’s not so much a case of them not wanting you to know about it, they want you to borrow though. They have no incentive to publicize it. And I think that’s the reason that I think you’re going to be a great fit here at Hoyes Michalos because that’s what we’re trying to do is get that word out. Yes, there is another solution here. Scott Terrio: It’s just education, right? Again, we’re back to the word education that I’ve written in my chicken scratch in my notes here. And, you know, it doesn’t hurt to know stuff. Just knowing about a proposal, so what you don’t have to file a proposal. But the thing is I do a lot of presentations and stuff like that too to various groups and what will inevitably happen is if you speak to an audience of 200 people about proposals they’re all taking notes and usually my presentation is only about 20 minutes, 30 minutes but I’m there for 90 minutes. I’m doing 60 minutes of questions after. And then they buttonhole you at the door on the way out. So, if I go do a presentation at 7:00 I tell my wife I’m not coming home until 11. I’m not going to get out of there, I’m going to give out about 50 business cards and I think people see this in others. So the proposal might not be for the group you spoke to but they all know 50 people and when they go to a dinner party with their friends everyone talks about housing and debt, that’s what they talk about, right? Scott Terrio: So, I think people end up saying you know what, that’s interesting. I’ve got a friend who’s in a lot of trouble and they would never touch a bankruptcy but they might do this because this is a way out that’s a softer landing, it’s a whole bunch of good things. Doug Hoyes: Yeah a bankruptcy sort of has finality to it which in a lot of case is good. If you’ve got a broken leg you need to put a cast on it, you have no choice. But with a proposal it is a negotiated settlement so you’re not forcing it on the people you owe money to. We go them and we say hey, we think this is fair, they have the opportunity to come back and say yes or maybe we’ like a few extra bucks or whatever and then the majority has to agree. And I think that’s why people feel a lot better doing a proposal because okay, I worked out something and we all agreed to it. Scott Terrio: Well, a lot people use the term I didn’t ditch my debts. And that may not be legally accurate but that’s how they feel so it’s accurate. So I think people feel a proposal is as you say I came to an agreement with my creditors. And they said yes and so everybody’s kind of happy here because it’s good for the person filing because they’re out of their debt as you said maybe as much of a 70% discount on principle, which is huge, right? Doug Hoyes: And no interest. Scott Terrio: And interest is even bigger. I always tell people oh geez that’s a lot, I save 70%, well, yeah but you also save 100% of future interest and you can basically double that debt over 10, 20 years, right? Scott Terrio: So the interest is just as big of an impact if not more. And people feel like they’ve made an agreement and everyone is involved. And you also don’t get the negative connotation where, you know, I just kind of said I’m out of here. And so, you know, that’s how people speak, that’s the kind of terminology they use so I like to use it too instead of getting bogged down with too much technical. I mean if you want some more detail you can read one of my pieces. But that’s – when you sit with people, there’s none of that, you just say okay, what do you got going on? And you make it conversational, we end up having laughs sometimes. Like it’s not – it isn’t like a grilling and it shouldn’t be. The person should walk out the door I’m going to get out of this pretty well here and I trust this person. Because there’s a real wall, a veil, in this business between the public and us that geez, when I go in those doors they’re going to put a shackle on my legs and I’m not getting out of there and it isn’t like that. Doug Hoyes: No, not at all. I mean out of a group of 200 adults, one of them is going to have to file a proposal or a bankruptcy this year. So, it’s not everybody but it’s also not something that no one has ever been through before, it becomes a lot more common. Scott Terrio: No and also I tend to say too that a proposal is far more people than they think. So yeah 165,000 or 70,000 a year might file proposals but I think if everybody knew about these, and it wouldn’t be five out of 10 Doug but there’s going to be people that say that fits me, like that fits what I’m going through here, right? Because again it’s a softer landing, there’s a lot of good things about it, you get to keep assets, right? Doug Hoyes: Well, you know exactly what your payment is because once the deal is done that’s the payment, that’s what you’re paying. Scott Terrio: And there’s a finish line. Doug Hoyes: And there’s a finish line, exactly. So if you start working some overtime and can pay it off quicker, great it’s done. Scott Terrio: Or if you just see it right through to its conclusion, every payment you make, you’re that much closer to the finish line. If you pay $300 every month you’re 300, next month you’re 300 less or not 300 less to pay that month but overall, right? It’s diminishing at a regular rate, you know when the finish line is. Doug Hoyes: Opposed to just paying interest and owing the same amount next month. Well, I think that’s excellent and I think we’ve given everybody a flavour for what you and I and the rest of the team hopes to accomplish over the next coming years and that’s to get the word out there that yeah there are other solutions. And I know that there’s lots of people out there who are, you know, debt consultants and they’re putting all these crazy claims out there but in a lot of cases all they’re really doing is charging you money to then refer you to a licensed insolvency trustee. So you’re better off coming right to the source and being done with it. So, how can people find you then? So let’s start Twitter you’ve got like 10 million followers, I might be exaggerating a little bit. Scott Terrio: Yeah you are. So it’s @scottterriohma. That stands for Hoyes Michaels and Associates. Doug Hoyes: @scottterriohma so there’s three t’s in a row then when you spell it out. Scott Terrio: Yeah, if you think you put to many t’s you haven’t. Doug Hoyes: scottterriohma and then obviously people can email you at sterrio@hoyes.com. And then you mentioned it earlier but where are some of the places that people can be looking out for some of the stuff you’re going to be doing in the coming months. Scott Terrio: Right, okay. So as I said I was mentioning that with the Maclean’s, MoneySense, Canadian Business group, we’re going to actually be having a regular column possibly monthly, possibly every two weeks. What that will be, it’s going to take a form, it’s going to be Q&A, which is nice because they’ve got a big – it’s Rogers Media, they’ve got a big umbrella for viewers and readers. They told me, it’s incredible how many. Doug Hoyes: A billion, a billion people. Scott Terrio: They’re going to ask their viewers and readers what they want to know about consumer debt and credit and that kind of personal finance stuff. It will be around debt though. That will be the thing. And we’re going to put in maybe one or two, probably two questions every time because one might not suit and you might look at the second one and think that one pertains to me or someone I know. And I will give a detailed answer on what, you know, all surrounding that issue, whatever issue you brought up. I’m going to say you’ve got this not quite right it’s a misconception or something and then here’s what you can do to, you know, to handle the situation. Doug Hoyes: Yeah and there’s so many misconceptions out there. I mean I look at the comments on our Facebook page and every single day someone puts well, consumer proposal, it’s exactly the same as bankruptcy. Okay no, no it isn’t, in fact it’s not the same at all. Yes, they’re both under the same umbrella of the bankruptcy and insolvency act but there’s different time periods and credit reports. You already talked about different ways to deal with assets and so forth. So I think that’s going to be great having all those things out there and of course you also do your, you know, if the TV station calls you’re there as well. Scott Terrio: I was there on Friday on BNN. Doug Hoyes: There you go. Doug Hoyes: Everything I read on the internet is true Scott. I don’t know what you’re talking about here. Scott Terrio: Some of the stuff that is – people are advised on the internet is just phenomenal. So part of it is just dispelling some of that too, right, because, you know, there are facts and then there is the internet. Doug Hoyes: Yeah, fake news. Scott Terrio: Yeah, so part of it is just strictly educational in terms of saying okay, here’s a typical scenario and a question from a reader and here’s why that, you know, here’s the parts that are accurate, here’s the parts that are inaccurate, here’s the things that you can do. You know, and whether it’s through a trustee or not it doesn’t matter, I’m going to answer the question and it’s going to be, you might have to go elsewhere to do this, maybe a proposal is for you, whatever. It isn’t going to be a, you know, a selly pushing thing, it’s just going to be educational, right? Doug Hoyes: Yeah, we’re going to try to stick to the facts, which is exactly what we want to do. So, for anybody listening who is not following Scott on Twitter already then scottteriohma is a good place to do it. Obviously you can follow the Hoyes Michalos Twitter account as well because we’ll be tweeting all that stuff as well and I do the same thing at doughoyes so lots of information out there so I think it’s going to be great. Scott, thanks very much for being here. Scott Terrio: Thank you, Doug. Doug Hoyes: And I think that’s a great way to end the first of that will no doubt be many appearances from Scott here on Debt Free in 30. That’s our show for today. As always a full transcript and links to everything we talked about today including links to contacts Scott Terrio can be found at hoyes.com. And by the way if you haven’t checked out hoyes.com lately about a week go or so, we’re recording this just at the start of February, we unveiled the new hoyes.com website. It loads fast, it looks great on any device you use but most importantly all of our content is easier to find and it’s easier to contact us if you have any questions. 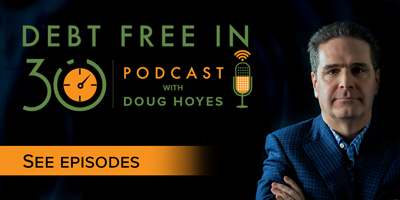 And yes, all 179 episodes of Debt Free in 30 with full show notes are on the new website at hoyes.com. Next week I have another vey special show for you with two first time guest so if you have ever gone shopping or used a rewards card you will want to listen to that show. So, until next week, thanks for listening, I’m Doug Hoyes. That was Debt Free in 30. Should You Use Your Bonus To Pay Off Debt?